The Calvin Coolidge Alumni Association, Inc. is an organization designed to enhance student life at a notable institution of higher learning. 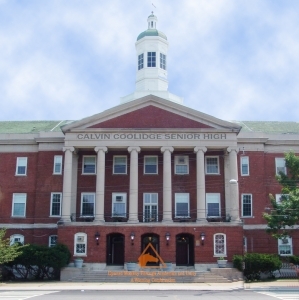 The Alumni Association’s major goal is to establish functional programs and activities that will support and are in accordance with Calvin Coolidge High as a District of Columbia public school to reinforce student education, academic support, career orientation, and college preparation. The Association is geared to enhance the existing guidelines and directions of the Board of Education. Those directions include promoting student education, community development, drug abuse programs, academic excellence, teacher professionalism, and total school achievement. The Alumni Association will infiltrate the expanding metropolitan area to identify, establish, and maintain viable career networks to assist in visitations and field experiences of student members. To reinforce the continuity of the program a major effort will be displayed to identify and maintain an active enrollment of Calvin Coolidge graduates as members of the Alumni Association. The Calvin Coolidge Alumni Association will seek to guide memberships, student body, PTA, faculty, and community collectively towards student growth in a direction of excellence.